Two gangs are trying to prove their authority. Choose a side by matching outfits of the one you like. 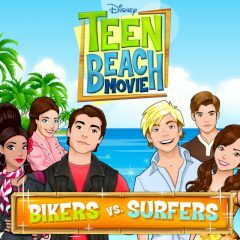 Biker and Surfers are here to decide who is better. One must match outfits to help one side win in this competition. Do it fast and get points!